The Baseball 'Cross, known for its course which snakes it way around baseball diamonds and soccer fields, promises to be a challenge for all riders. For 2013, course designers promise a slightly longer course, more twists and turns, more speed - with one of the longest straightaway starts the club has had - and more fun with a Halloween costume contest! 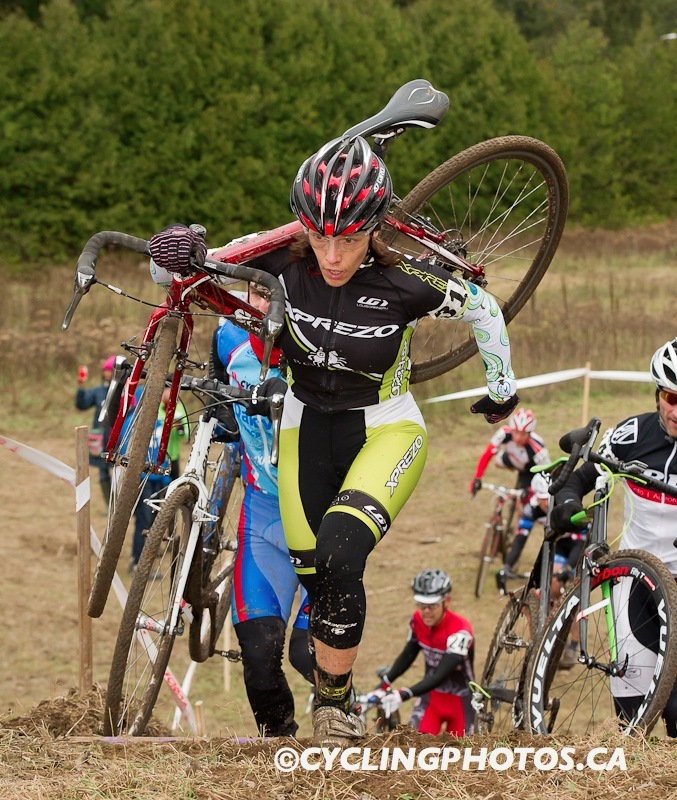 "Hosting a cyclo-cross Ontario Cup on Halloween weekend is a great opportunity for the club," said Barrie Cycling club race coordinator Brendan Matheson. "That's why this year we are giving out cash prizes to the top men’s costume, women’s costume and team costume (2 or more)." The Barrie Cycling Club, in partnership with the City of Barrie, has built and designed the premiere event of the season. "Going on its fourth year at the Barrie Sports Complex, the Baseball 'Cross is preparing to be one of the premiere events of 2013's cyclo-cross season," said Robb Meier, President of the Barrie Cycling club. "The Baseball 'Cross is going to a race to remember, we are promising a spectator friendly course, great parking access and Halloween fun," Meier added. "We are looking forward to seeing the best in Ontario come out and duke it out for the top podium position on our course." There will be an equal cash purse for Senior Men and Senior Women along with great prizes and the coveted Baseball 'Cross world series trophy. Awards will be held immediately following the completion of each race start. We have a great number of sponsors and partners onboard for this year's race, the prize table will be great!